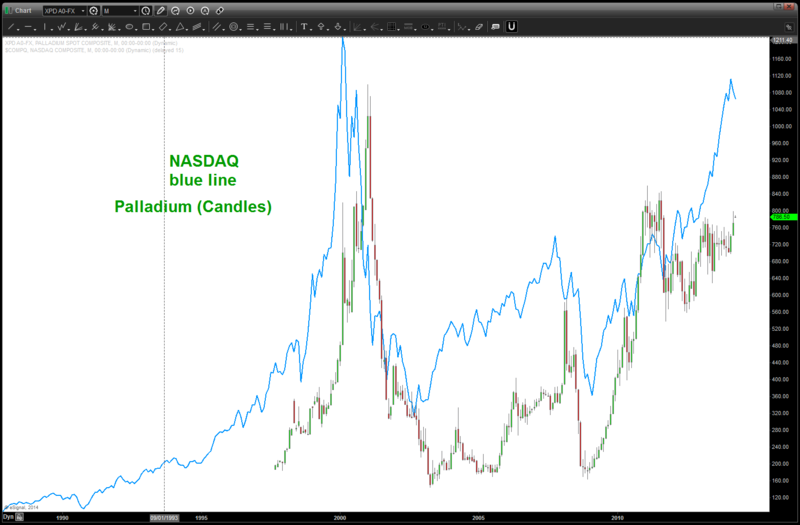 Cliff Notes: noted below is that Palladium and the NASDAQ do move together, but at major inflection points there is some lag. After the lag, they sync up nicely and move up and down in similar fashion. 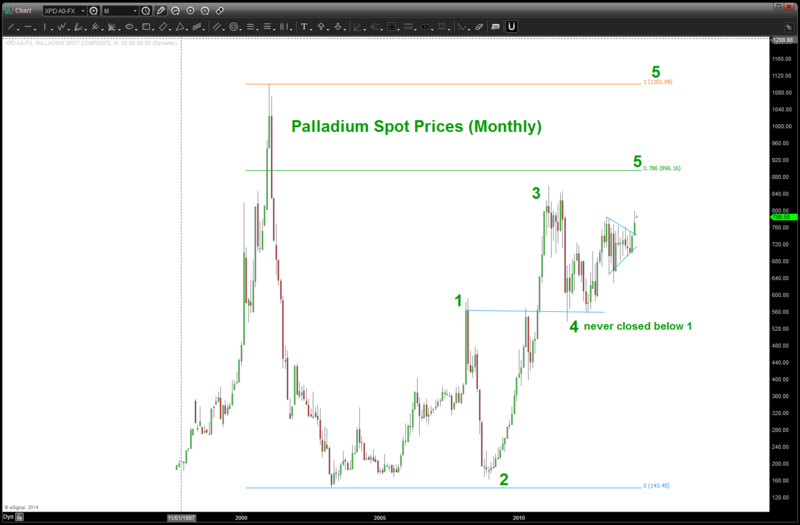 The past 4 years have been highly congestive for Palladium …something that (obviously) wasn’t the case w/ the NAZZIE. I have attempted to label a potential count on the monthly Palladium chart. Either way I look at it, believe we are in the final stages of a final move up. Expecting the .786 (monthly) to be targeted resistance. Key here will be to watch for weakness in Palladium if the NAZZIE starts to roll lower.